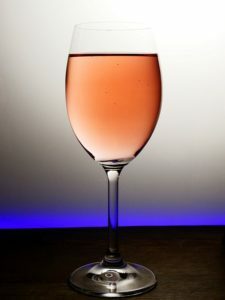 As this is a blog about successful and healthy weight loss you might expect me to tell you how terrible alcohol is for you. And you should stop drinking it straight away if you want to lose weight. I know alcohol is not the healthiest drink going, but, provided you drink it in moderation I don’t think that it’s the devil some people would like you to believe. And who wants to spend their lives only drinking water and stewed weed (that’s herbal tea by the way, not any form of illicit substance). I will certainly suggest that you only drink in moderation but I really don’t believe that giving it up completely is going to help you lose any weight at all. Unless you’re a beer drinker. Alcohol is a relaxant and stress is an enemy of weight loss, so logically drinking in moderation and feeling relaxed and de-stressed can only help your weight loss. Of course there are some factors that you need to take into consideration. The issue with alcohol and weight management is not the alcohol in the drink but what else you add to it. It’s the sugary mixers in rum and Coke or gin and tonic which are the problem, not the alcohol itself. What I would suggest, is that you give up sugary mixers with your drink. No more vodka and orange or spritzers with lemonade in. Instead go for low sugar mixers, soda, or stick to wine. Wine has many health benefits when drunk in moderation. Red wine particularly is good for your heart and I personally think that a little wine helps me relax very happily of an evening. Here is a fascinating video about the effects of alcohol on your brain and explains why it’s best to know, and stay within your limits when drinking. Stick to just a couple of alcoholic drinks in a day. Don’t drink to the point where another drink seems like a really good idea! Drink earlier in the day so your body has metabolized at the alcohol before you go to sleep at night. Avoid sugary mixers and beer. Favor wines and spirits especially red wine, which has well-documented health benefits. When I’m on holiday or it’s a special occasion then I’m happy to indulge a little more. But on regular days and weekends I find these guidelines easy to follow and what’s more I don’t feel deprived!